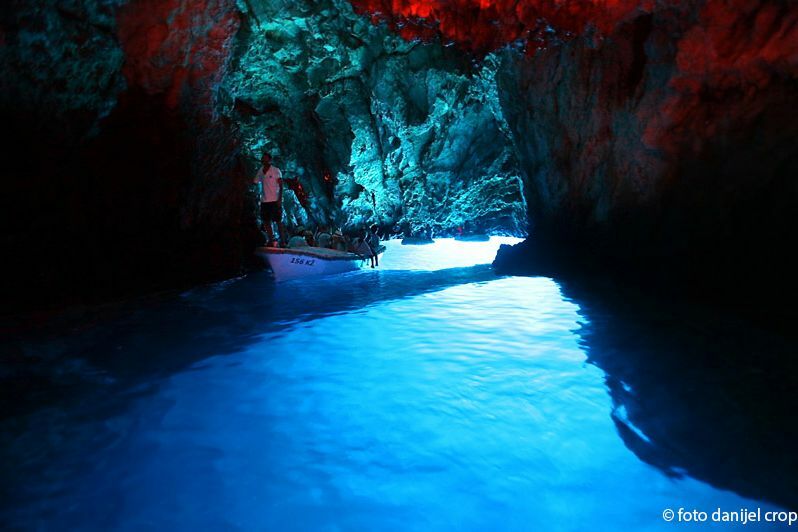 La visita alla Grotta Azzurra, sull'isola di Biševo, sicuramente vi lasciera senza fiato e rimarra a lungo nella memoria. Nel magnifico gioco di luce solare riflessa sul fondo bianco, c'è un affascinante tonalità di blu che illumina la grotta sopra e sotto la superficie del mare, e gli oggetti immersi nel mare assumono una patina d'argento. Anche l'isola di Biševo, con le sue spiaggie romantiche, vigneti e foreste di pini profumati, e' un vero paradiso per il rilassamento completo. 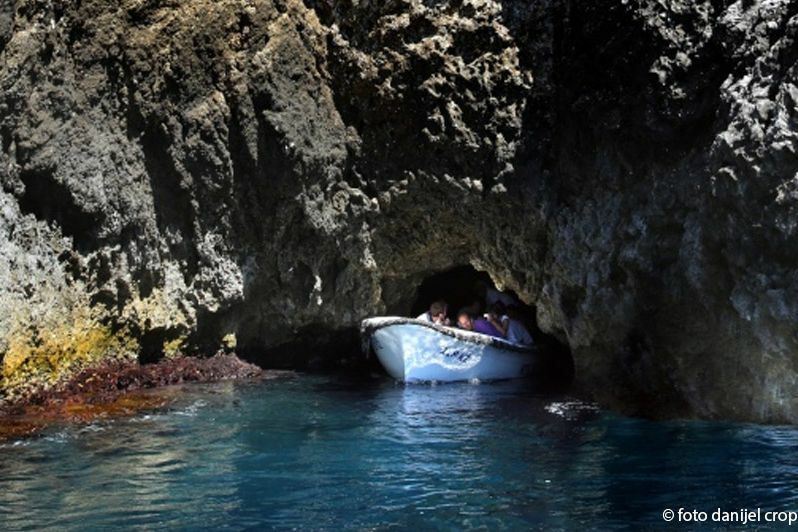 Per andare a Biševo e Grotta Azzurra, si organizzano le gite di un giorno, con partenza dal porto di Hvar. The pick up point is at the Hvar harbour riva in front of Carpe Diem bar or Gariful restaurant at around 10:15 in the morning. We are cruising with a new 8m speed boat. 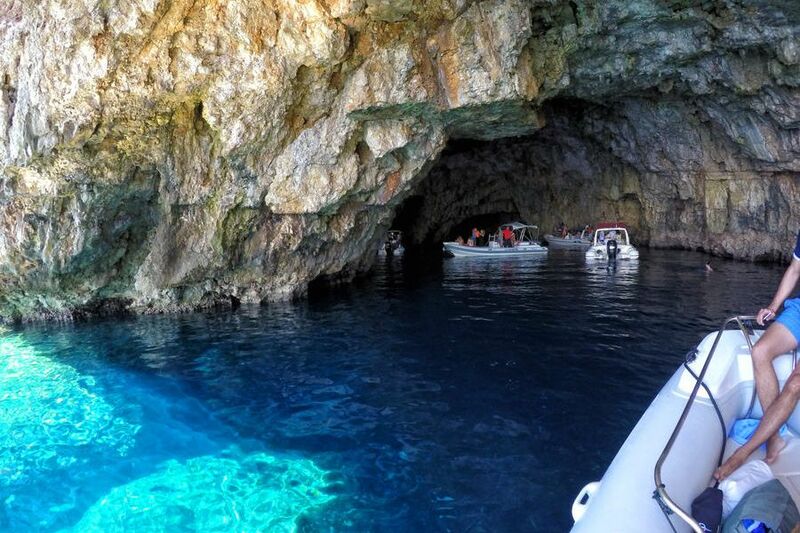 First we will visit - Green cave on the small island of Ravnik on a south side of the island of Vis. Through a crack in the ceiling of the cave the sun's rays reflecting with a greenish color and creating a captivating light effects. Swimming is allowed here and if you like snorkeling you can swim in the cave. ( entrance is 8 - 10 Euro / person ). After Green cave we are visiting Blue Cave on the island of Biševo around noon when the sun creates impression of blue sky. 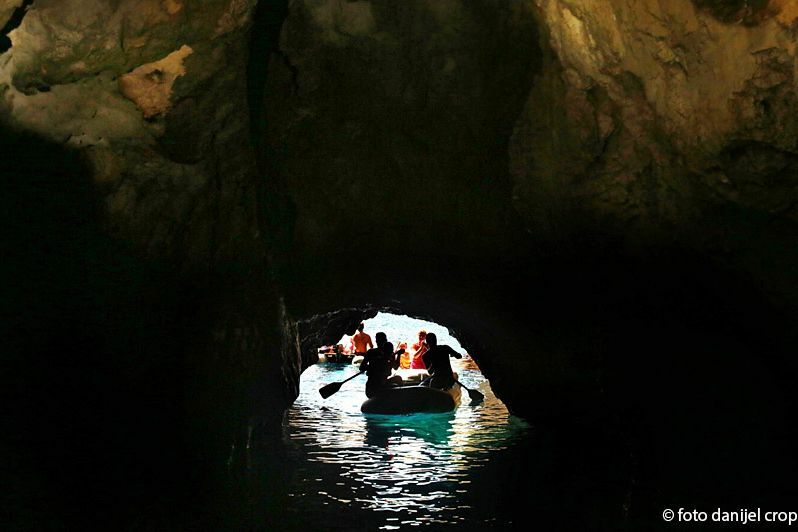 Visitors can enter the cave with a small rowing boat. 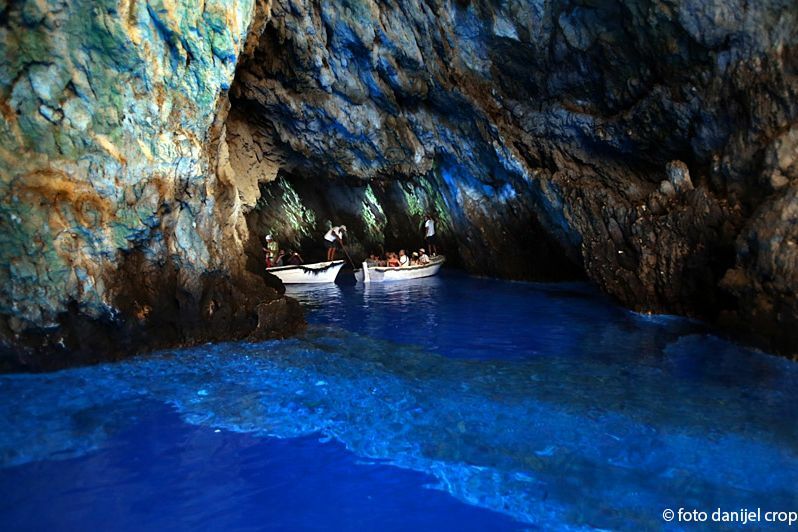 The entarnce to the Blue cave is 8 - 10 Euro / person depending on season. After Green cave we can visit Stiniva beach one of the most beautiful beaches in Croatia. 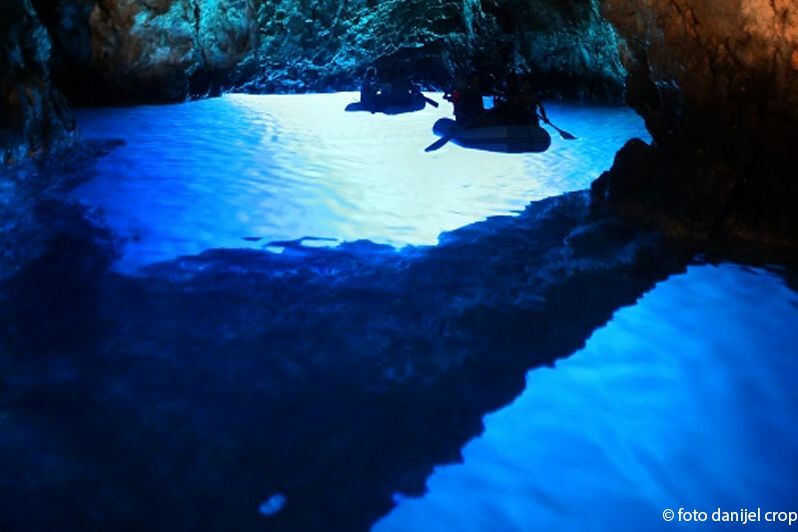 Depending on your wishes and weather conditions we can visit one more bonus place on Vis: Seal Monk's Cave, sandy beach Stončica, the smallest beach on Vis, Budikovac green lagoon, town Vis or town Komiža. Around 3 pm we are back in arhipelag of Hvar. We are visiting the biggest Pakleni island Saint Klement on which is situated Palmižana sandy beach. At the Palmižana beach, the most popular resort on the Pakleni Islands, you can take another swimm or a refreshment and have a lunch in some of restaurants. At around 6:00 pm we are back in the town of Hvar. What's included: The program as described, boat, fuel, guide/skipper, refrigerator with ice for the cold drinks and snacks, snorkeling equipment, GoPro underwater camera, music, travel insurance. 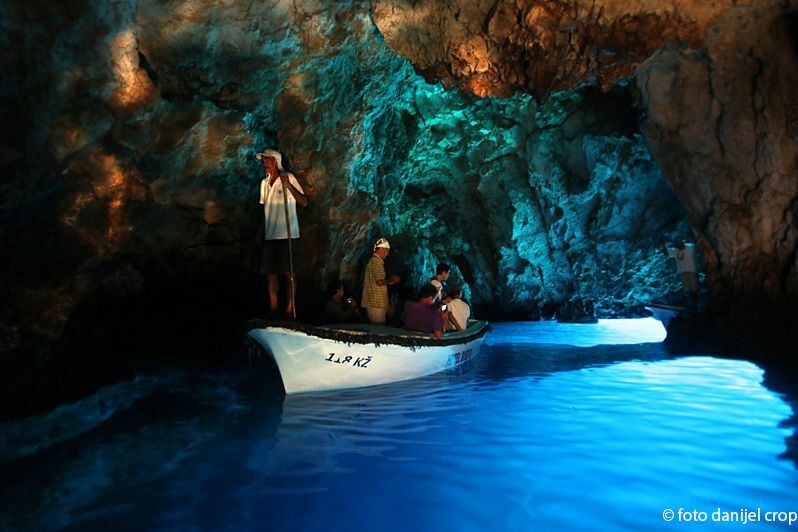 It is possible to arrange the visit to 3 caves in one day trip. 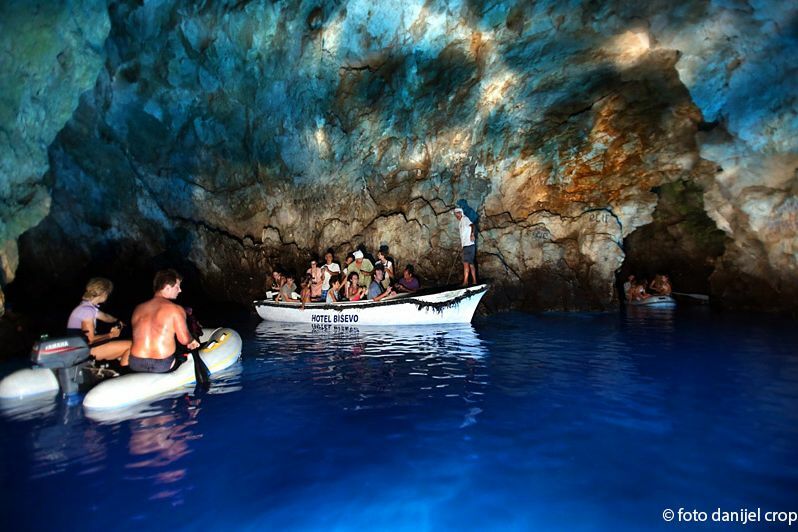 ( Blue cave, Green cave and Monk Seal's Cave ). Feel free to contact us and let us know your wishes. We'll arrange the most perfect itinerary for you! This tour is exclusive private tour, there will be no other guests in the boat. Feel free to contact us and let us know your wishes. We'll arrange the most perfect itinerary for you! -10% Discount for Online Booking - Private tour. Free Cancellation policy. You can cancel the booking 24h before the tour and the full amount will be refunded to you. There will be no other guests in the boat. The tour can be tailorad made acording to your wishes.